Stiffness and muscle tone of trapezius and sternocleidomastoid increases with age. Elasticity of trapezius and sternocleidomastoid decrease with age. Ageing changes mechanical parameters of muscles both in lying and sitting position. Ageing only slightly affects mechanical parameters during change of posture. Aim: The aim of this study was to analyze the effects of aging on the viscoelastic properties of the upper trapezius (UT) and the sternocleidomastoid (SCM) muscle during transition from lying to sitting position. 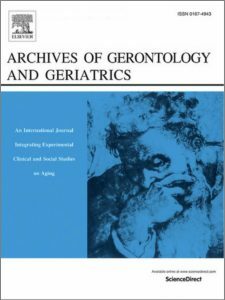 Materials and methods: The study included 39 older (mean age 67 ± 5.9 years) and 36 younger (21.1 ± 1.8 years) women. Tone, stiffness and elasticity of the UT and the SCM were measured by means of myotonometry (MyotonPRO) in lying and then, in sitting position. The results were compared using two-way analysis of variance. Results: Irrespective of the position, older women presented with significantly higher muscle tone, stiffness and elasticity than younger subjects (P < 0.05). In both groups, the transition from lying to sitting position resulted in a decrease (P < 0.05) in the tone and stiffness, but not the elasticity (P > 0.05) of the SCM, and stimulated an increase in the tone, stiffness and elasticity of the UT (P < 0.05). The degree of changes in both study groups was similar, except from the absolute value of the UT elasticity, significantly higher increase in older women than in younger subjects (P < 0.05). Conclusion: Age contributes to an increase in the stiffness and tone of the UT and the SCM, as well as to a decrease in the elasticity of these muscles in female subjects. In contrast, age exerts only a slight effect on the mechanical properties of both muscles during transition from lying to sitting position. This study showed that irrespective of body position, age contributes to an increase in the stiffness and tone of the UT and the SCM, as well as to a decrease in the elasticity of these muscles in female subjects. In contrast, age exerts only a slight effect on the viscoelastic properties of both muscles during transition from lying to sitting position. These findings may be useful in searching for the etiology of neck pain and in monitoring of its treatment outcomes. Myotonometry may be considered a valuable adjunct to electromyographic testing.